Two hundred six specimens of Xanthoparmelia collected in Belarus in 1905–2017 were examined based on morphological and chemical characters. Six species (X. angustiphylla, X. conspersa, X. delisei, X. loxodes, X. pulla and X. verruculifera) were identified in this study. Xanthoparmelia angustiphylla and X. delisei are reported for Belarus for the first time. 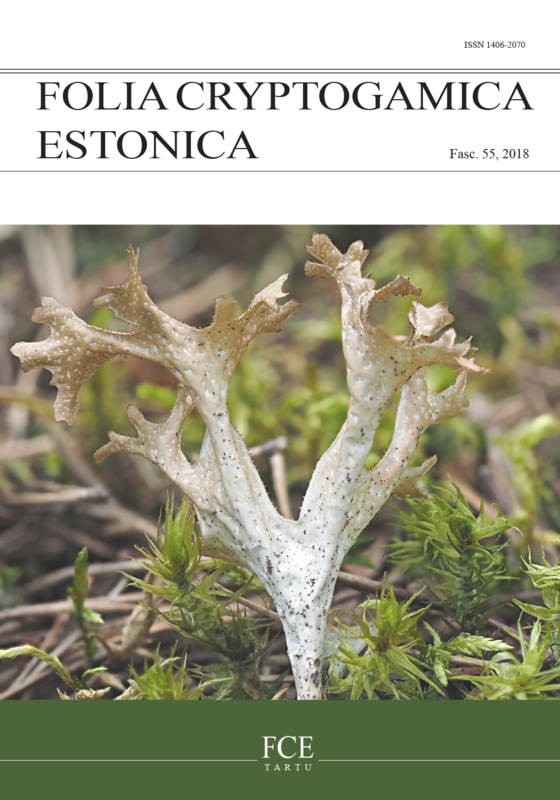 Presence of Xanthoparmelia pokornyi and X. stenophylla has not been confirmed, and therefore these species should be excluded from the Belarusian list of lichens. A key to the species of Xanthoparmelia in Belarus is provided.